If you don't make your website to be search engine friendly, it is either you are creating a site for citizens of the moon or it is intended for a set of people here on earth who are very few in number. A search engine is a major traffic source for your website and in order to be favored by popular search engines in their rankings, especially Google, your site must conform to their standard. Your primary focus should be on building an information-rich site and every other thing will automatically follow. It is important for you to create original, rich and useful contents that will entice many webmasters to link to your site which in turn will boost its popularity. Your topic should be clearly and concisely described by your pages and your keywords (words users would type to locate your pages) should be reasonably included. However, you should stay away from keyword stuffing (over-use of keywords) so as not to be penalized by search engines. 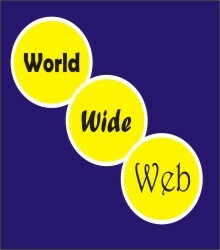 Furthermore, links to your site are very important as they help search engine crawlers to find it. Google specifically makes use of sophisticated text-matching techniques to show web pages that are both important and relevant to every search. As a result of this, links to a page are interpreted as votes of support for it and the page ranks (PR) of these pages where these links come from also add weight to these votes of support. So, the more the quality links your site get, the better its chances of appearing in good positions of search results. However, it is not advisable to get links in an unnatural way because search engine algorithms have been designed to distinguish natural links from unnatural ones. When you develop quality contents, other sites would love to link to you because your contents would be of great benefit to their visitors. This is a natural link building method and it is very vital for the indexing and ranking of your site. This does not mean that you have to sit down and wait for the links to come, you can solicit for links through guest blogging, article marketing, blog commenting, directory listing, etc. You should try as much as possible to stay away from link buying because it can get you into the bad books of search engines. Moreover, you should be careful with SEO companies that guarantees high ranking in search results. While some can help in boosting your site's flow and content, others make use of misleading tactics in order to trick search engines. If you fall into the hands of any of these individuals or companies and your domain is linked to any of their deceptive services, search engines could ban your site from their indexes. It is also important to avoid the use of images to display important names, contents or links because search engine crawlers cannot recognize texts contained in graphics. You should make use of regular HTML to format your main content and keywords on your page and if this cannot be achieved, you can make use of the ALT attributes. You should also avoid the creation of duplicate contents on your website. Duplicate contents are multiple copies of a page under different URLs and they can negatively affect the ranking of your site. The crawlers favor originality and anytime they discover duplication, they tend to favor the first to be published while other duplicated ones are lowly ranked.